If you have any questions about Foam Magazine, please contact us via +31 (0)20 551 6500 or send an e-mail to magazine@foam.org. We advise you to include images from a specific series, preferably in a PDF or a link to a web gallery. Please DO NOT send us attachments heavier than 4Mb or use services such as WeTransfer. Always include an artist's statement describing the project you are submitting. Please don't send any work to the editor directly. Due to the volume of work we receive we are not able to process those emails. Please note that we do not consider individual images, provide overall portfolio reviews, nor commission photographers to produce bodies of work. Also note that we receive multiple emails a day with photographers wanting to share their work. We try hard to reply to everyone, but this is not always possible and it might take a long time, perhaps months. This is because we carefully look at all the e-mails we receive, and this might take some time. Thank you for being patient. Foam Magazine is an important medium for brands, products and institutions to present themselves within the international creative community. 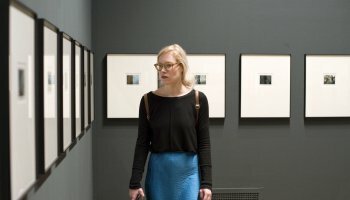 Foam Magazine's readership consists of photographers, art directors, curators, contemporary art lovers, designers, and photography, fine art and graphic design students. 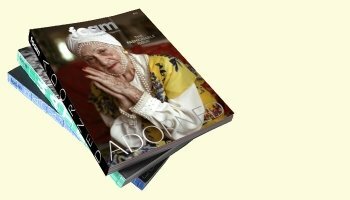 As a result of nearly 15 years of editorial perfection, and a 'no-concessions to quality' policy, Foam Magazine has become an industry authority, and therefore assures a high-quality perception of the product, brand or institution. For cultural and educational institutions, such as museums, galleries, and universities, we offer discounted rates (on request). For advertising opportunities and general information, please contact Matthijs Bakker via magazine@foam.org.